I've been cross stitching for over 25 years and last year I put two of my hobbies - Camping and Cross Stitch - together and now design and sell camping themed cross stitch patterns and kits. It's been a lot of fun and I've met new cross stitch friends who camp too! My site is Camp Cross Stitch and I also have a camping website that is a work in progress- www.TheCampSite.com If you are a camper come over and say Hi! Recently a customer called me and needed more thread for a kit she had purchased. She had run out of one color and was only half way done with the area. WHAT? How could that be? I looked at my notes and I had another customer with the same problem, same color, same kit. What did I do … or not do? I always keep track of how many lengths and strands I use. Two weeks pass and she calls me again and she has run out of two more colors! Sigh ….. I asked her, just so I would know for future, how long were her tails? Was she using each length to the very end or leaving 3-4″ ?? She told me she uses it to the last little bit just to be able to tuck it into her stitches. Well … I guess I blew it. I’ll need to add more extra lengths to each kit from now on. I’m stitching a new design and I’m purposely throwing more away to make sure I don’t go short on my kits. I think mine are about that length when I’m ready to tuck it in. I was also thinking about how stitchers “stitch” … do they make a line one way and come back or are they making crosses? Am I making sense? 🙂 I think you’ll know what I’m saying … Is the way they’re stitching causing them to use more thread? Luckily I’ve only had the two phone calls about thread being short … so I’m doing okay! So … how long are your tails? I’ve received a few inquires for custom work and just wanted to throw it out there to the cross stitching community and ask if any of you do custom work? 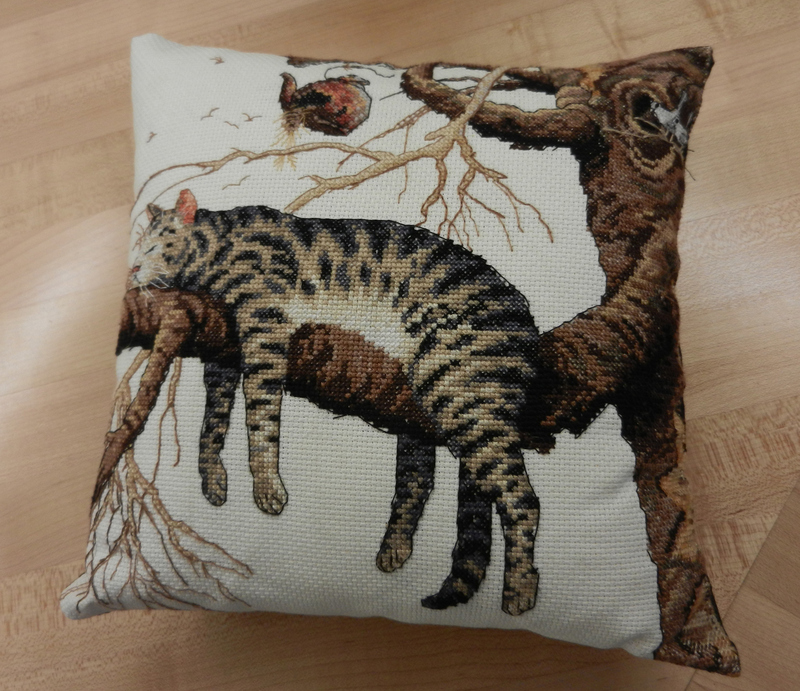 What would you charge to stitch a 5×7 design? Would it be based on stitches … Kind of a dumb question … Should just answer that myself. I would charge based on stitches. If anyone does this type of work, please let me know so I can refer people your way! 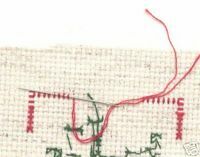 I did a quick search and found a site that does custom work and charges based on “the actual stitch, not to be confused with the stitch count”. Makes sense. Anyway .. Let me know if you’re interested! My Mom was an avid cross stitcher. She was always working on a pattern and I would always get her a new kit for her birthday. I guess I’m writing this post to tell you how special a cross stitch project is when you’ve lost a loved one. My Mom passed away in August of 2008 .. I can’t believe it’s almost been 5 years. Her illness was a shock as my Dad was in hospice at the time. She passed away four months after my Dad. This was the hardest time in my life. So … dividing my parents belongings between the siblings, I immediately put this pillow into my “pile” …. I had given her this kit and think it is so adorable! I will cherish it forever. I have a few other projects and each of my siblings got a few as well. We will forever remember our Mom sitting and enjoying cross stitching. I think a cross stitch sewn by a Mom, Grandma, Sister … any relative …. is so special .. more special than something store bought, a book, a painting, etc… They sat and stitched and created and now you can look at it and think of them stitching every cross, backstitch and french knot. Cherish it as I do and always will. a Hobby Lobby store just moved into my neighborhood! Wow, we have a Hobby Lobby. 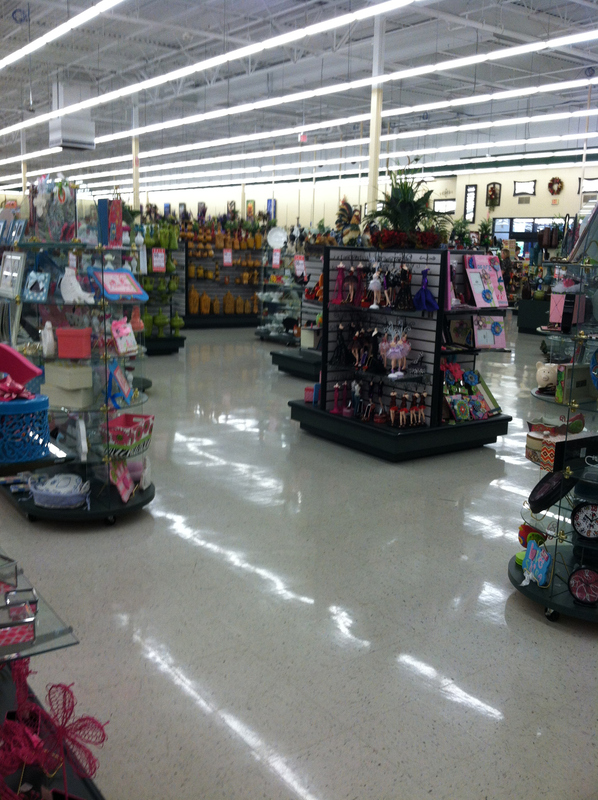 I had never been in a Hobby Lobby. I had to stop and do a quick run through, time permitting. When I first walked in, I thought I was in the wrong store. 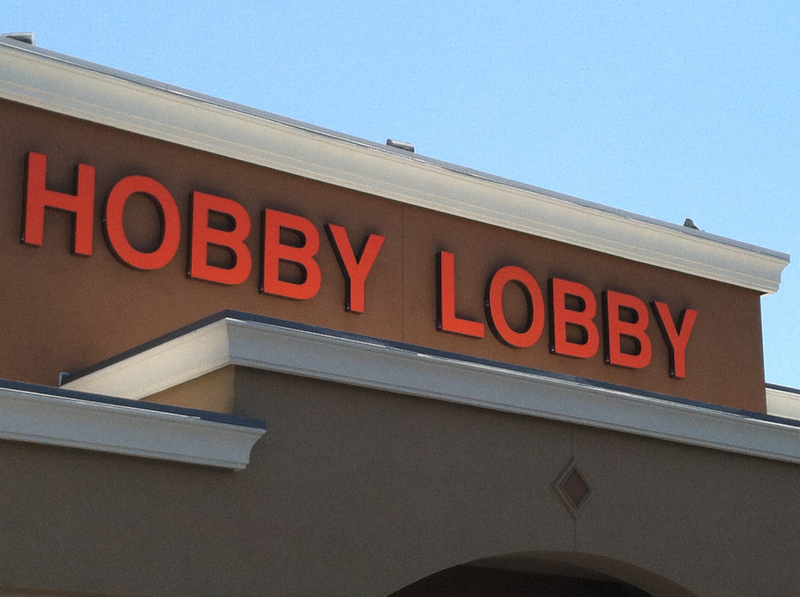 I pictured Hobby Lobby to be ALL hobby items. What I saw were home decorating items. Like this .. Imagine a room where every wall is covered in Bulletin Boards. You’ve given each Board has a unique title/name. Each Board has pictures pinned on it. You’ve found these pictures on the internet or from other Boards..
One Board is named “I Love Cross Stitch” and you’ve pinned your favorite cross stitch designs on it. To me Pinterest is a visual candy store. You can get lost in it, addicted to it, love it or just not get it. I personally love it and get tons of ideas not only with new cross stitch designs, but garden, home, food .. lots of food ideas! I just love going to Barnes and Noble Book Store and looking at the wall of magazines. The BIG wall of magazines! They have about every magazine you could be looking for! And, they have Cross Stitching Magazines! You don’t see those around much anymore … unless you live in the UK! “Cross Stitch Gold”, “Cross Stitch Card Shop”, ”The World of Cross Stitching” and “Cross Stitch Crazy” are all from the UK. 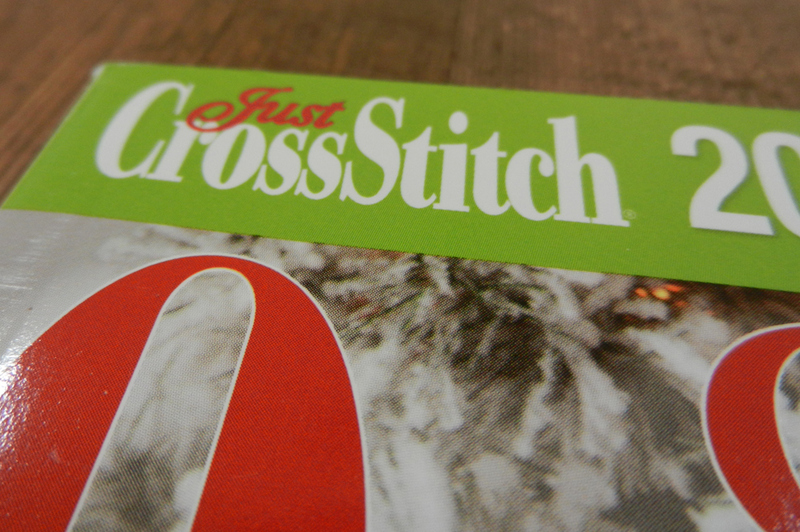 “Just Cross Stitch” magazine’s editorial offices are in here in the US in Alabama. Hello everyone! I’m very happy to be posting here on Stitching the Night Away! I’ve been cross stitching for many, many years, but when I found this site I found the world of cross stitchers and A LOT of great blogs! I started following the blog hop and found blog after blog about cross stitching! Such a fun world of cross stitching friends.